Takes an exciting and different approach to Bible study. Instead of presenting the Old Testament as a series of unconnected stories, it teaches the student the Bible’s one story. God is at work redeeming His fallen creation—climactically through Jesus—and every small story in the Bible makes sense only in light of that big story. The Old Testament still teaches moral lessons, but Gideon and Noah and Moses are not the big heroes; God is. Bible Truths B: The Story of the Old Testament covers the historical books as well as “The Writings”—Job, Psalms, Proverbs, Ecclesiastes, and Song of Solomon are covered in extensive feature boxes. Critical thinking questions follow every section of the student text, helping students to remember, understand, and apply Scripture. The moral lessons taught in the various Old Testament stories are complementary to the main point of the Bible, but they are no less important. 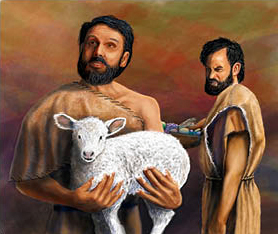 God reveals His character in part through the righteous actions of people like Joseph and Moses. He also reveals His holy character through His response to their sins. 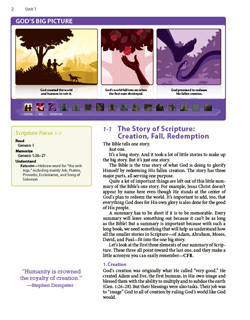 The Bible Truths B Teacher’s Edition mines Bible stories for their moral lessons. Includes a copy of the tests with answer overprints for easy grading. It also provide references to the location of the answer in the student text and teacher’s edition, so teachers may make sure they cover all necessary material.